Paul Massie, a Canadian-born actor who was a star on the British stage and screen in the 1950s and 1960s, has died. He was 78. Massie died June 8 in Liverpool, N.S., of lung cancer. He had retired to a home on Nova Scotia's scenic south shore. Massie won a BAFTA Award in the U.K. as most promising newcomer in film for the 1958 movie Orders to Kill, directed by Anthony Asquith and starring Lillian Gish. He was known for his roles in the Hammer horror films especially his turn as the aged and ugly Dr. Jekyll and young, handsome Mr. Hyde in 1960's The Two Faces of Dr. Jekyll. 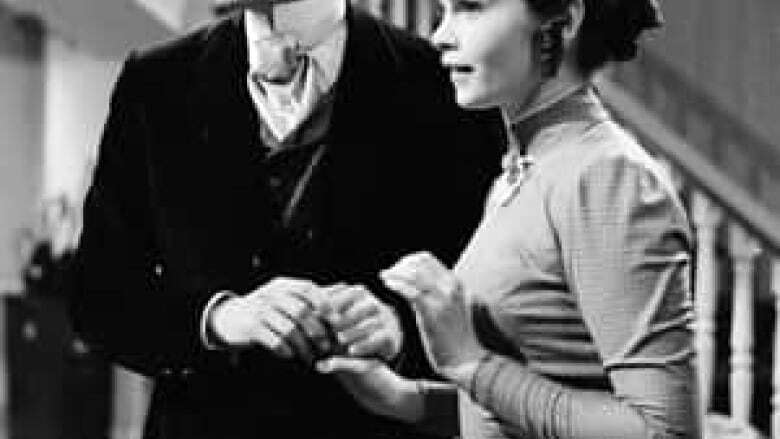 The young actor was also in demand on the London stage and was acclaimed for his performance in Tennessee William's Cat on a Hot Tin Roof with a cast that include Kim Stanley and Leo McKern. Born Arthur Massé on July 7, 1932 in St. Catharines, Ont., he changed his stage name when he joined Britain's J. Arthur Rank studio. He had headed to Britain for theatre school, but then enlisted, serving in Hong Kong. 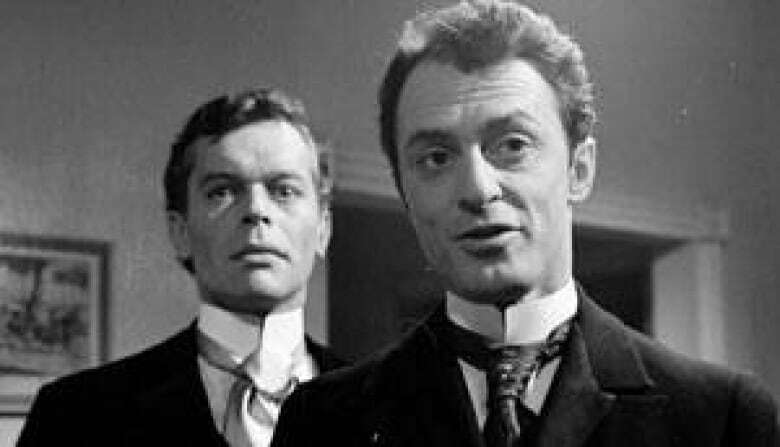 Paul Massie appears with Peter Donat in CBC's A Doll's House. (CBC)Post-war roles included Tony Hancock's The Rebel and Basil Dearden's Sapphire. He also appeared on TV series such as The Flying Doctor, The Avengers and The Pathfinders. Massie was friends with Peter O'Toole, Trevor Howard and Richard Harris and worked with John Gielgud. He had a career on the London stage, including a role in the debut of William Fairchild's play, Breaking Point, directed by John Barron. He returned to work in Canada on a regular basis appearing in CBC televised dramas A Doll's House and Spring Song, as well as on stage at the Stratford Festival. In the 1970s, he moved to Tampa, Fla., to take a teaching position at the University of South Florida. He taught acting, scene study, voice production, clowning, directing and other subjects and became a fixture in the local theatre community, both on stage and as a director, according to the St. Petersberg Times. His screen career continued with sporadic roles, including in the 1973 TV series Hawkeye: The Pathfinder and in the1995 film The Naked Eye. Massie retired from teaching in 1996 and moved to Nova Scotia.